“It was perfect," Nina says of her debut as Odette/Odile. It's the last scene of the 2010 psychological thriller Black Swan and these are the last words this character, the ballerina played by Natalie Portman, will ever speak. Her relationship with perfection—physical, technical, artistic—has haunted her throughout the movie and finally, changing from Odile's black tutu to Odette's white one, she pulls a shard of broken mirror from a wound beneath her ribs. Could there be a better symbol for the dark side of a dancer's pursuit of perfection? The studio mirror, so innocent and embracing in those first delightful years of dance class, has become a maddening dagger of constant criticism. The soprano Maria Callas, revered by generations of opera-lovers, was famously imperfect in her technique and was cherished all the more for it. The pianist Vladimir Horowitz played with such phenomenal elegance and fire that no one cared about the flubs. Most painters, even those with superb draftsmanship, move beyond or beneath correct technique to brushwork of extravagance and strangeness. And a poet like Emily Dickinson, who turned grammar on its ear—who's to say she didn't achieve her own technical perfection, a new grammar created for the bubble of perception in which she lived and wrote? Students in class at Pacific Northwest Ballet School's summer program. Angela Sterling, Courtesy PNB. When 17-year-old Rock School student Sarah Lapointe was auditioning for summer intensives, she faced a dilemma. By mid-January, she'd been accepted to a great school. But she needed to give her answer in seven days and still had four more auditions on her agenda. “I thought, What should I do?" says Lapointe. “Do I turn down this offer, or risk being wait-listed or not receiving another acceptance somewhere else?" It's a common conundrum. For Lapointe, the answer was to contact the first school to ask for a deadline extension, which it granted. “This allowed me to focus on my remaining auditions and make a solid decision," she says. Svetlana Lunkina photographed by Nathan Sayers for Pointe. This is Pointe's December 2014/January 2015 Cover Story. You can subscribe to the magazine here. A rush of energy rippled across the Toronto theater, followed by an ovation that went on for what seemed like an eternity. It was June 12, 2013, and Svetlana Lunkina had just debuted as a guest artist with the National Ballet of Canada, dancing the grand pas de deux from Don Quixote, alongside principal dancer Piotr Stanczyk. It was Lunkina's first performance in months and you could almost sense her elation at finally being back onstage. As Kitri, she exhibited that magical combination of daring attack and exquisite control with sky-high extensions and picture-perfect balances. Even Stanczyk couldn't contain his excitement in the lobby afterwards, saying Lunkina brought out the best in him. “I'd do every single ballet with her if I could," he says. That night, the question at the top of many people's minds was not if, but when artistic director Karen Kain would offer her a contract. The answer came two months later, when—following 15 years with the Bolshoi—Lunkina accepted a yearlong principal guest contract with NBOC. “Svetlana is an experienced and well-known ballerina, but we didn't know her personally here," says Kain. “We really had to find out whether it was a fit." The trial year proved successful for both—this season, Lunkina signed on as a full-fledged company member. After a glittering rise and then a sudden, highly publicized departure from the Bolshoi, the 35-year-old Lunkina is renewing her career at NBOC. And although the Canadian company is smaller (72 dancers compared to the Bolshoi's 231) and offers a more contemporary repertoire, she's embracing the opportunity to work with new choreographers and learn new roles. “I'm an artist and I want to develop myself," says Lunkina. “I'm really grateful for this opportunity to grow. It's like a new life, with new emotions." Lunkina in James Kudelka's "Swan Lake." Photo by Aleksander Antonijevic, Courtesy NBOC. When Franz Met Swanilda: Sarah Lane and Daniil Simkin on Rehearsing "Coppélia"
In a rehearsal before their Lincoln Center performance of Coppélia last May, Sarah Lane and Daniil Simkin ran through some of the partnering in a studio several levels below the Metropolitan Opera stage where they would perform. In Frederic Franklin's charming production for American Ballet Theatre, Swanilda, danced by Lane, and Franz, by Simkin, must balance raucous comedy with sublime classicism. Although considered the perfect soubrette role, Swanilda presents serious technical challenges. The dancer must possess a chameleon-like ability to transform from a spunky village beauty to a robotic doll to a loving bride. And Franz is much more than a frat boy jokester; he becomes a devoted husband in the pristine wedding pas de deux at the end of the ballet. Leta Biasucci photographed by Nathan Sayers for Pointe. 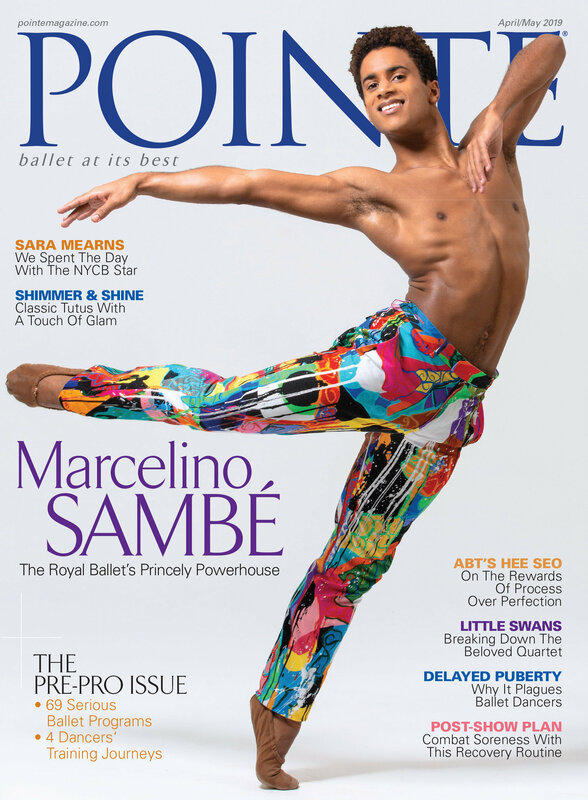 This is Pointe's October/November 2014 Cover Story. You can subscribe to the magazine here. In a company known for its tall women, Pacific Northwest Ballet's Leta Biasucci doesn't fit the mold. At 5' 3", she seems petite next to several of the company's willowy principals. But her height is far from all that stands out. Last spring she charmed audiences in Giselle's peasant pas de deux, flying through impeccable batterie with grace and precision. The role seemed made for her, but so does nearly every one that she's danced, a tribute to the broad spectrum of her talent. She's stepped in last minute as Swanilda in Coppélia. She's conquered Clara in PNB's Nutcracker. She's been featured in work by Christopher Wheeldon and Twyla Tharp. And last winter, shortly after her 24th birthday, she made her debut as Aurora in The Sleeping Beauty. “It's odd to see someone fit so naturally in a full-length ballerina role," says PNB artistic director Peter Boal. “That's the hardest thing to do, and she got there first." Biasucci has been a star in PNB's corps de ballet for only three years. This fall marks her promotion to soloist, and she is well on her way to expanding the definition of a PNB ballerina. Even her background is different. Unlike most PNB corps dancers, Biasucci did not come through the company's professional division or the School of American Ballet, where Boal keeps close ties. A Pennsylvania native, Biasucci began dancing as a 5-year-old in a ballet-tap combo class. After three years, her teacher suggested she might like the more rigorous training at Marcia Dale Weary's Central Pennsylvania Youth Ballet, noted for turning out technically strong, versatile performers. Her years there laid the foundation for her entire career. At 16, she became a trainee at San Francisco Ballet School. At 18, she landed her first professional job with Oregon Ballet Theatre under Christopher Stowell. OBT's small size, she says, gave her “a good place to grow, feel nurtured and have opportunities to be presented," but she was hesitant to let her roots grow deep. “I had dreams of dancing in a larger company," she says. Pennsylvania Ballet holds only one audition each year. 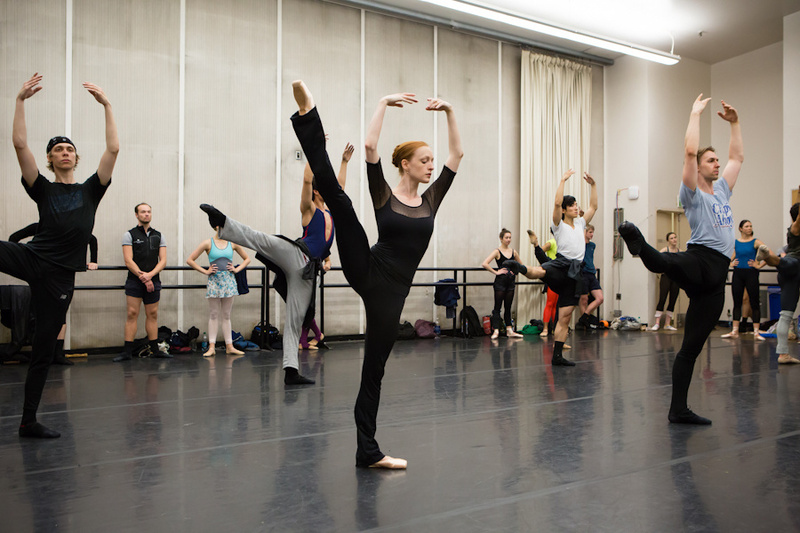 Every spring, hundreds of dancers crowd into a studio at New York’s School of American Ballet to be considered by artistic director Roy Kaiser and his team. Many come from training programs outside the city. This past March, more than 250 dancers auditioned for the company. Ballet students learn quickly to follow directions and wait for reward or recognition from the front of the room. But navigating a professional career is very different from being a successful and talented student. Each dancer’s path is unique, and often nonlinear: A few dancers get promoted quickly while others remain in the corps. Some must make horizontal moves to new companies before they land a breakthrough job or role. And to keep their career momentum, many find it necessary to put themselves forward and ask for what they want. Clara Blanco, now a soloist with San Francisco Ballet, had been dancing in the SFB corps for five years when she decided to move to Birmingham Royal Ballet. She soon realized it was not the right fit. Wishing desperately to return to SFB for the following season, Blanco knew the best thing was to meet with artistic director Helgi Tomasson and ask for her job back. “I am the kind of person who doesn’t hide things. I felt very vulnerable talking to Helgi,” she says. After thinking about it for a month, Tomasson gave Blanco a second chance. Asking for an opportunity—whether it’s a job, a role, a promotion or a raise—rarely comes easily. It helps to practice. It’s also critical to canvas mentors or ballet masters to see if what you want lines up with your ability and commitment. So what’s the best way to break your silence and start a meaningful conversation about your career? The first person you should be questioning is yourself. In preparation for a meeting with the director or other artistic staff, take some time to honestly evaluate your work. Are you sending the right messages? Do you show up late to rehearsal? In run-throughs, do you always give 110 percent, or are you marking? Are you already taking advantage of available opportunities? Once you have analyzed your own job performance, find a sounding board. Julie Marie Niekrasz, a dancer with Ballet Memphis, looks to more experienced dancers when in need of an honest opinion. Building relationships with your ballet masters, rehearsal directors, choreographers or senior dancers can help you get realistic feedback about where you are in your career. Niekrasz used her scheduled evaluation time to let the artistic staff know she felt ready to dance the role of Juliet. Blanco used her annual meetings to mention her dream of climbing the ranks. Niekrasz did end up getting to dance Juliet, and after several years of performing soloist and principal roles, Blanco became a soloist. Asking nearly always yields some gains. If nothing else, you send an important signal to management that you are ready for more. Asking also gives you some insight into where you stand, and what you need to do to move ahead. As Blanco points out, “When you are a professional, it’s more about finding the right place for you, the place where your dancing is appreciated. Art is hard to value and you have to place value on yourself.” Having the confidence to ask for what you want is the first step in doing that. "Giselle experiences her emotions with such a quiet intensity that her death from heartbreak is truly plausible." When I was 19 years old and in the corps de ballet of American Ballet Theatre, a domino effect of casting changes left me with three days to learn and prepare my first dramatic leading role: Myrtha, the Queen of the Wilis. There was not enough time to feel overwhelmed, let alone to delve into the nuances of her character. Although diving right in and winging it on willpower is exhilarating, I have learned in the 15 years since that one of my favorite aspects of dancing is the research and emotional decision-making that go into developing a dramatic interpretation. I recently prepared for the role of Giselle in Ethan Stiefel and Johan Kobborg's new production for the Royal New Zealand Ballet. Although having advance notice gave me the time to feel nervous about tackling such an iconic role, it also allowed me the opportunity to develop my own interpretation through a mixture of research and instinct, which was further refined by coaching, rehearsal and performance. Murphy in RNZB company class at The Music Center. 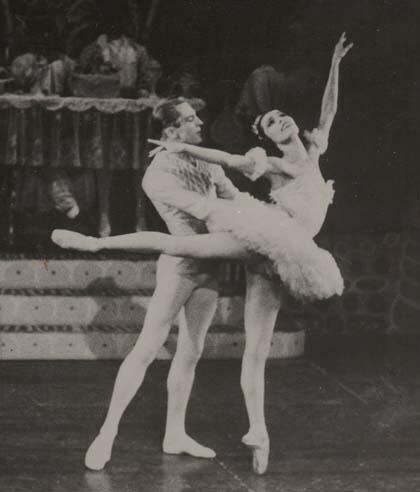 Maria Tallchief dances the Sugar Plum Fairy in the premiere of George Balanchine’s The Nutcracker. Though Tallchief, who was half Osage Indian, had great success earlier on in parts that played on her “exotic” look—particularly the title role in The Firebird (1949)—dancing Sugar Plum cemented her status as a leading classical ballerina. Raven Wilkinson, the first African-American woman to dance full-time with the Ballet Russe de Monte Carlo, experiences difficulties during the company’s tour of the Deep South. The owner of a hotel in Atlanta, Georgia, refuses to let her stay in the hotel with the other dancers; in Montgomery, Alabama, two members of the Ku Klux Klan interrupt the company’s performance. The Ballet Russe later pulled Wilkinson out of performances in the South, partly to ensure her safety. In 1966 she began a less fraught career at Dutch National Ballet. George Balanchine pairs Arthur Mitchell and Diana Adams in Agon’s erotically charged pas de deux. In a world still a decade away from the civil rights movement, this was casting as political act, and it shocked some members of the ballet community. Twelve years later, Mitchell founded Dance Theatre of Harlem, a haven for classical dancers of color. 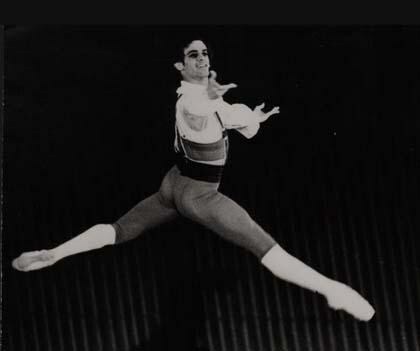 Nineteen-year-old Fernando Bujones becomes the first American man to win a gold medal at the International Ballet Competition—Varna. Then a soloist and soon afterward a principal at American Ballet Theatre, Bujones, whose parents were Cuban, was a role model for Hispanic-American classical dancers—a group that remains small, especially in terms of women. Alonzo King founds LINES Ballet, a diverse group of dancers performing works drawing from an array of cultural traditions. LINES was one of the first companies to see racial diversity not as an end in itself but as part of a larger mission. In later years other new companies—Complexions Contemporary Ballet, Cedar Lake Contemporary Ballet—would take up this model. 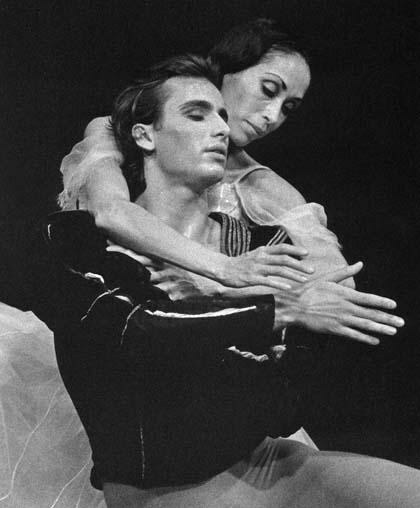 Dance Theatre of Harlem star Virginia Johnson dances the title role in Giselle with The Royal Ballet at Covent Garden. 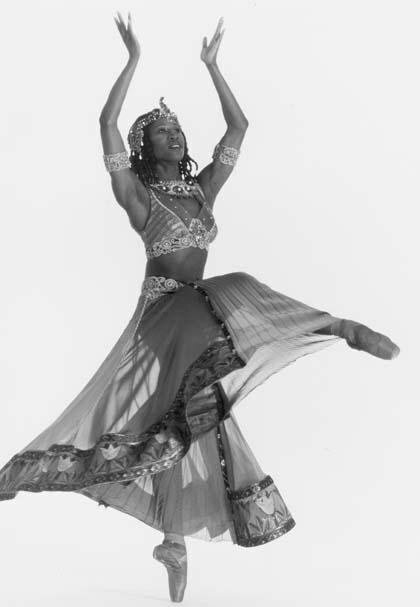 Johnson had previously performed in DTH’s production of Creole Giselle to great acclaim. But this performance—an African-American ballerina dancing the lead in a “white” ballet with a predominantly white company—had special significance. Houston Ballet’s Lauren Anderson creates the title role in director Ben Stevenson’s Cleopatra. 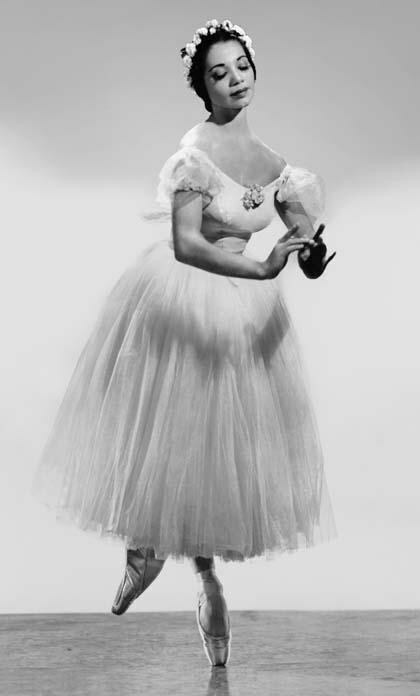 Anderson was the company’s first black principal and for years the world’s only African-American prima ballerina. Stevenson, a mentor since Anderson’s days as a student at Houston Ballet Academy, built Cleopatra specifically for her, mentioning in interviews that the original Cleopatra may have been black. The role would become one of Anderson’s signatures. Photos from top: courtesy Dance Magazine Archives; Courtesy Raven Wilkinson; Marty Sohl; courtesy Dance Magazine Archives; Martha Swope © New York Public Library for the Performing Arts; Drew Donovan; Leslie E. Spatt. Get this issue on your smarphone/tablet!